Timeless style meets Texas flair in Gallery Furniture’s GALS collection. Each piece of GALS furniture, like this Fort Worth sofa, is handcrafted in Texarkana, Texas, by skilled craftsmen and women to last a lifetime. Looking for a custom love seat or sectional? Not a problem, GALS can create the living room of your dreams. 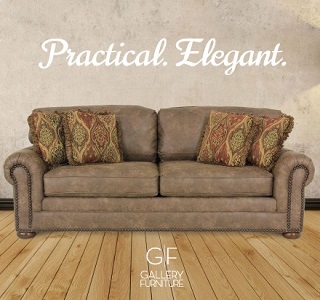 See the GALS furniture collection at either of Gallery Furniture’s Houston locations or online.